Island Diva: Sheryl Lee Ralph Host Soulful Festival! "Come Home To Jamaica, Mon!" Actress, festival director, and creator Sheryl Lee Ralph(Moesha) was the perfect hostess as she personally welcomed guest from literally all over the world. "I created the Jamerican Film & Music Film Festival in an effort to encourage and empower filmmakers and artists from around the world." Indeed, Ms. Ralph inspires and encourages dozens of new filmmakers as well as established actors and entertainers. I thought that actor/comedian Chris Tucker would leap to the sky with joy. He was like a kid in a candy store with refrains like, "I'm in Jamaica, I'm in Jamaica. I'm having fun! I'm having fun!" Sure you're right Chris, the Jamerican Film Fest was the Bomb! 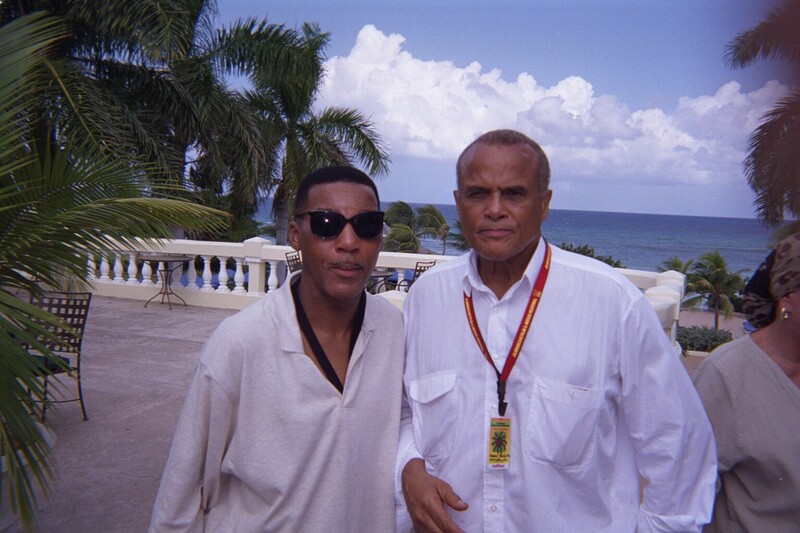 Lawrence with Legendary Film Star Harry Belafonte who popularized Caribbean music during his brilliant career. Sheryl Lee Ralph presented him with a Legends Award in an emotional and festive awards banquet. To put icing on the cake Sheryl, Chris Tucker, Robert Townsend, and a faithful few stayed up all night on the beach to send Mr. Belafonte and wife off with a rip roaring cheer. It was great! You should have been there. 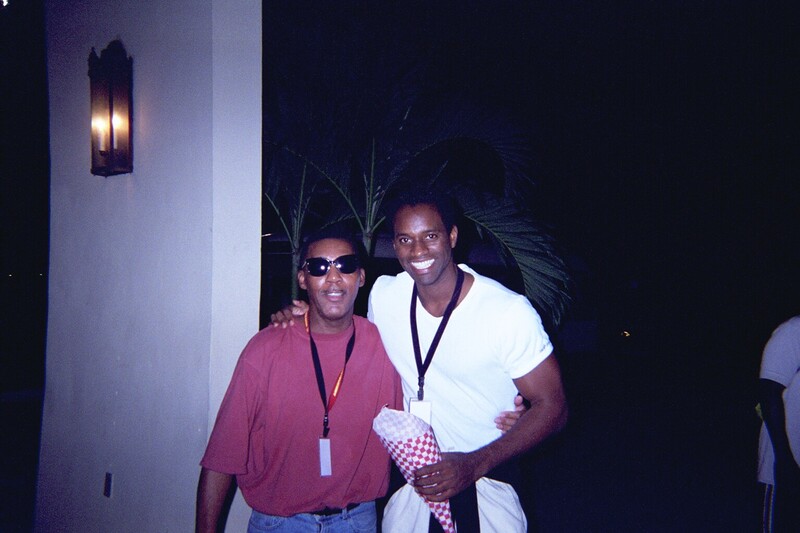 Lawrence with hometown actor and model Michael Dyer. Michael won the "Sexiest Man On The Island" at the Upscale Midnight Pajama Party. It was a BLAST! Memphis Town Represents! Mike latest project was the Michael Jordan Story. Keep up the great work in Hollywood, Mike. The homeboys have got your back! 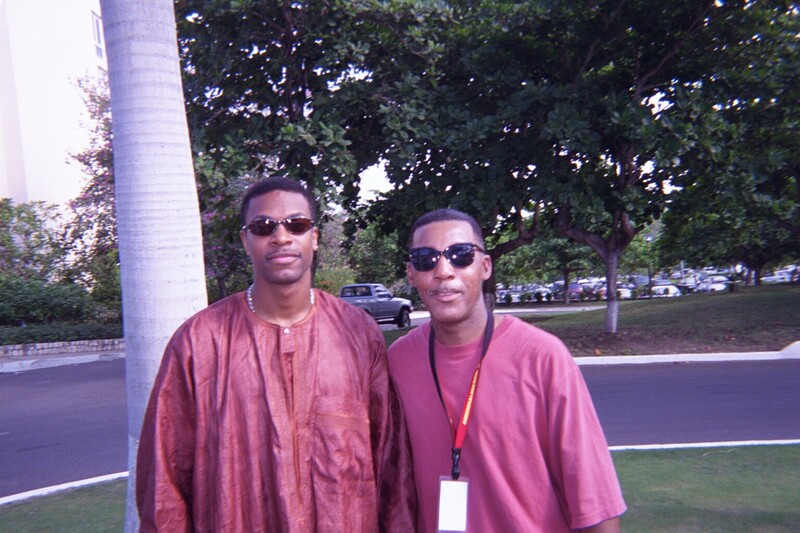 Lawrence Wayne with Chris Tucker star of Rush Hour outside the beautiful Wyndham Rose Hall Resort & Country Club. Chris and his brother flew in to support Sheryl Lee Ralph's Jamerican Film Festival. He also got to relax after wrapping two movies due for release in 2001: Mr. President and Rush Hour 2. I have even more respect for Chris Tucker when he made the decision to refrain from profanity and using drugs in his movie roles. "Hey man, I thought that I would be a hypocrite to be smoking all over the place when I don't even use the stuff or drink. I have a lot of young people watching me and I don't want to send them the wrong message." You are a good brother Chris! He is like a young Bill Cosby. 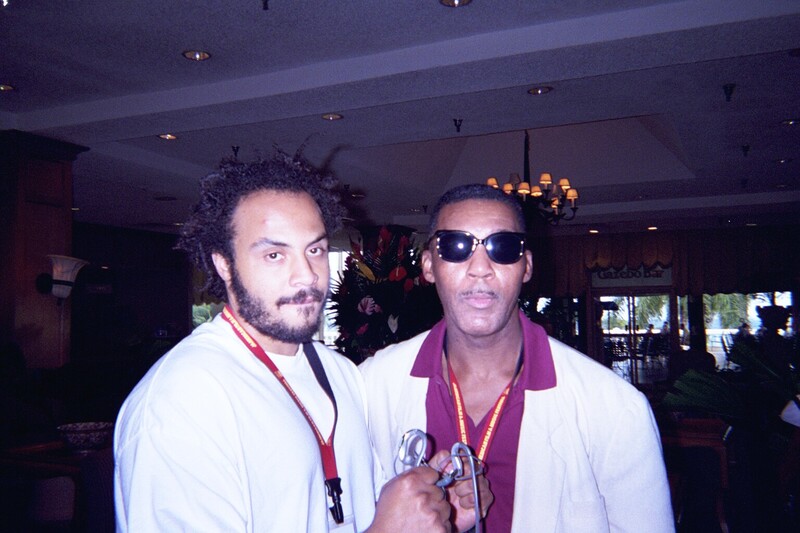 Film & Music Director Hype Williams with Lawrence Wayne, president and conference director of the Memphis Black Writers Conference. Hype did a workshop entitled, "Making & Creating The Magic Of Music Videos." He has worked with Busta Rhymes, Janet Jackson, DMX, and many others. This award winning video creator also directed the movie Belly. Robert Townsend, Victoria Rowell, Chris Tucker, Sheryl Lee Ralph, and child at the Jamerican Film Festival Awards Banquet.